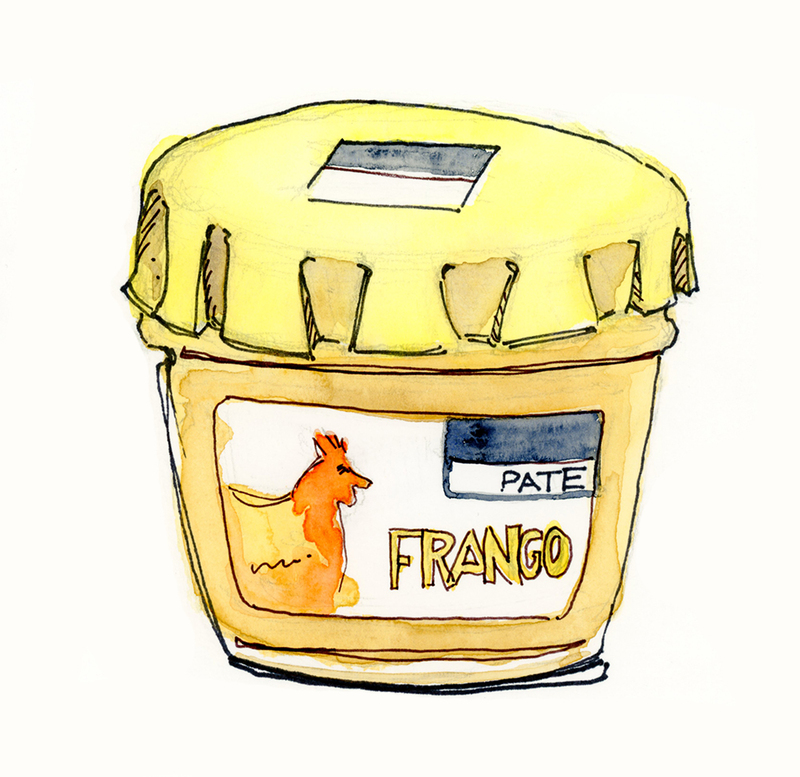 A jar of Frango Pâté (chicken pâté) that I picked up at the local Pingo Doce here in Lisbon close to our rented house. It tasted more like deviled chicken spread than a pâté. I liked it. Gary did not.